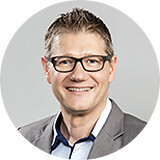 Lars Ernestus is Senior Media Consultant of Iventa:M4J Personalwerbung GmbH. His focus lies in consulting and support of small to mid-size customers. Lars Ernestus offers over 20 years of work experience through work in diverse German and Austrian event and advertising agencies, he further gained experience in a large American entertainment corporation.